Input text: a 70% dim gainsboro water tower.a 3000 inch tall shiny black bicycle is 7500 inch above the water tower. 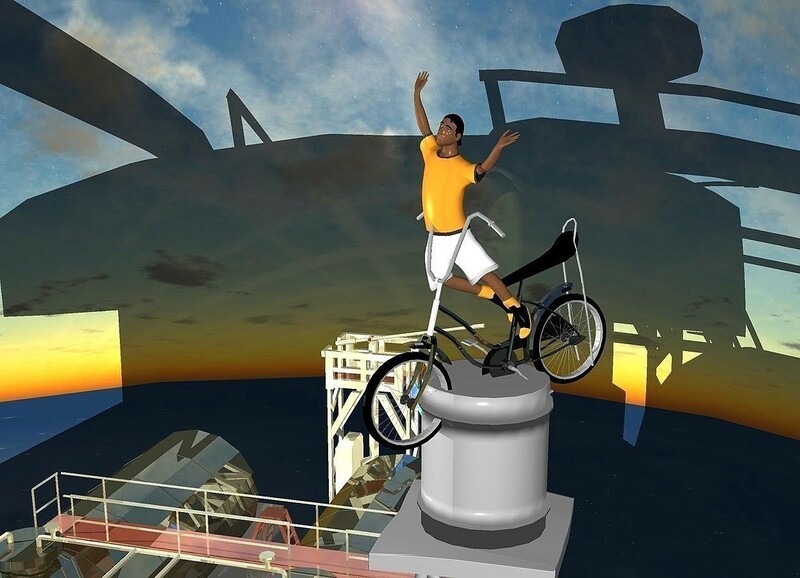 the bicycle is facing southwest.a 3500 inch tall boy is -2200 inch above the bicycle.the boy is facing southwest.a 10000 inch tall shiny building is left of the water tower.ambient light is gray.the bicycle leans 10 degrees to the front. a good choice for the win this week!